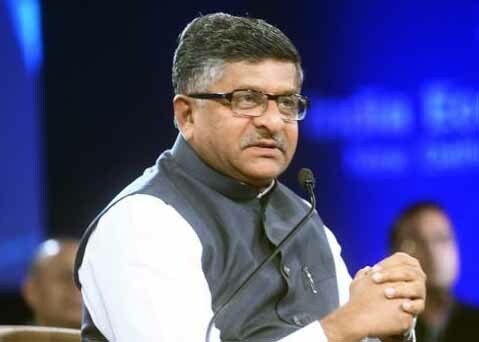 New Delhi : The Union Telecom Minister Ravi Shankar Prasad will launch a mobile app named 'Disha' tomorrow, the app can be used to get the latest information and learn about computers and Internet. The minister, who will felicitate 10 Dalit women who have got training under the Digital Saksharta Abhiyan in Bodh Gaya (Bihar) tomorrow, will also launch a Disha handbook that has pictographic lessons on computers etc. The mobile app is prepared to spread digital literacy through self-learning modules. The app is free and is available on Google Play Store. The Disha handbook is prepared by the Common Service Centres (CSCs) for the purpose of digital literacy. The book has been designed to ensure that anyone with little or no digital literacy can also learn using this book. Intel in collaboration with the CSC is working towards digital literacy in India. Under this initiative, Intel aims to train over 500 women in Bihar.